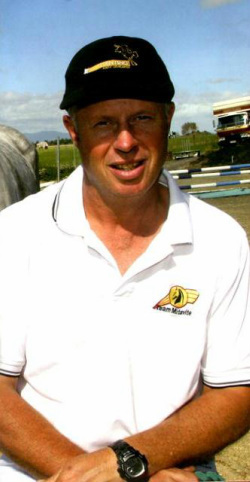 An ESNZ Elite Coach in Eventing, Show Jumping and Dressage, Andrew is passionate about coaching and gets great pleasure from seeing clients achieve their goals. "Professionaly, it's great when a student wins a national title but there are prehaps some greater moments to celebrate, such as the excitement of an inexperianced rider performing above their belief and how this moment can shape their life". Louise is regularly on site during Andrew's clinics, offering her valued knowledge on shoeing, soundness, feeding and general horse care. She is an integral part of the business and offers an additional complimentary service to the client. Show jumping and Cross Country Clinics - see Clinics/Events page for details and price. Please contact us to organise a clinic in your area or at your Pony Club. As an ESNZ Coach Assesor, Andrew offers coaching for coaches. This is ideal for Pony Club instructors, private instructors or those who want to begin coaching. Sports Psychology & Life Skills - generic sport skills taught which can be tranferred to any sport, so non-equestrian enquiries welcome. How the Horse Thinks and Learns - including 5 steps to make your horse jump with a great technique; how a horse sees, learns, and understands his world. Refer to Clinics/Events page for seminar nearest you or contact us to request one in your area. "Andrew is a phenomenal coach who installs confidence in everybody that he teaches. His principles are simple, yet effective. His teaching focuses on the positives. He doesn't sweat the small stuff and has made a huge difference to my own riding and confidence. After every lesson I am left feeling ready to take on anything."